So this may seem like a strange challenge right off the bat. How do hobbies help us become more self-compassionate? Well, let's think about this for a minute. When do you feel really good being you? When do you feel really free and happy? When do you feel genuinely good about yourself? The answer is....when you are doing what you love! Doing what you love comes from living out your values, engaging in your hobbies, participating in those interests. Hobbies and interests do a lot for us- helping us focus on fun, helping to take our mind of things, to give us rest time or a break, helping to give us insights or different perspectives, helps us learn and grow, challenges us and fosters our strengths- all of these just being a few of the many things that our interests bring us. Now from this list, how many of these things also help us foster more self-compassion? All of them! 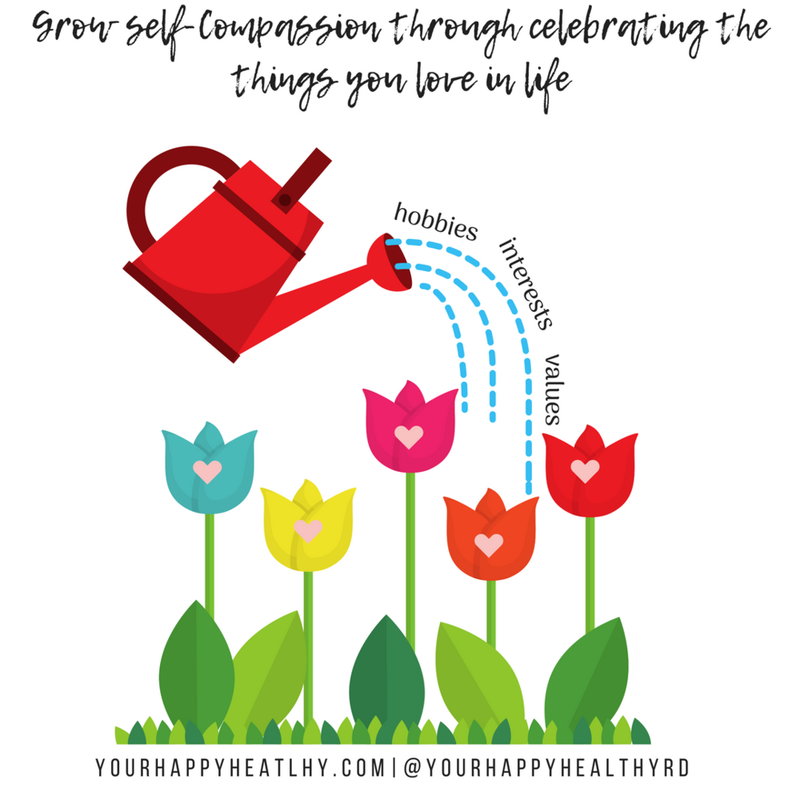 So what better way to bring more self-compassion into our lives than bringing in more of what we love....whether it is listening to your favorite podcasts, rock-climbing, knitting, yoga, or stamp-collecting...do more of it! So that is the challenge today. Reflect on what you love and start making time for it! How fun!